Navodaya Vidyalaya Samiti has uploaded online admit card letters for student who are waiting to appear in upcoming JNVST or Jawahar Navodaya Vidyalaya Selection Test for class 6th all over the country on April 21st, 2018. This year candidates or parents can get Admit Card easily by downloading online at any CSC (Common Service Centre). The admit card costs 10 rupees only. Parents are advised to visit nearest CSC for downloading of Admit Card for JNVST 2018. 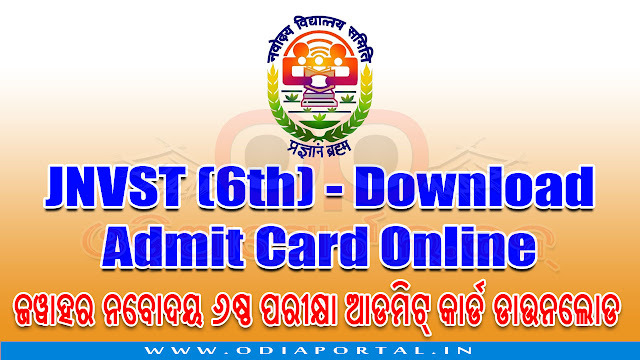 -Click on Download Admit Card button below. -Log in with Digital Seva Portal ID and Password. -Select State name from the drop-down menu. -Enter JNV Online registration number in the second blank box. -After successful payment the page will redirect to download page. -Now download and save the Admit Card PDF to computer for future use.